This team is part of the Computional Biology Center. Genome sequencing efforts worldwide have provided many vertebrate genome sequences including those from more than one hundred vertebrates, including mammals, birds, and fish. 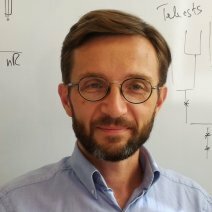 The rationale behind such projects is that comparative genomics remains the most powerful approach to identify and understand the signals that regulate gene transcription, the relationship between gene regulation and gene organization, the targets of Darwinian selection and the consequences of genome rearrangements during evolution. This in turn informs us on how extant genomes function, how genetic information is read by the cell, and why and how specific changes in DNA sequences modulate phenotypes, sometimes gradually as in evolution, sometimes dramatically as in genetic diseases. To achieve this, we require bioinformatic tools and original strategies to analyze billions of DNA bases, tens of thousands of annotated genes, regulatory elements and other functional regions in an integrated fashion, with an evolutionary perspective. The group has developed several lines of research to address the problem of identifying signatures of past evolutionary events and functional sequences in vertebrate genomes. 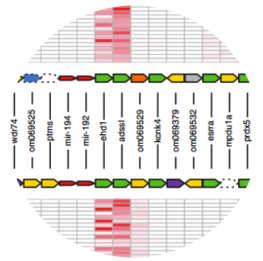 For instance, this group has developed methods to compare unlimited numbers of genomes to identify regions where genes are conserved in the same order and transcriptional orientation. These so-called syntenic blocks are inherited by modern species since their last common ancestor. The group has developed an online server called Genomicus, to provide access to these new resources. Reference ancestral genomes now enable new approaches to study genome evolution in a large phylogenetic perspective and to analyse changes that took place during evolution. 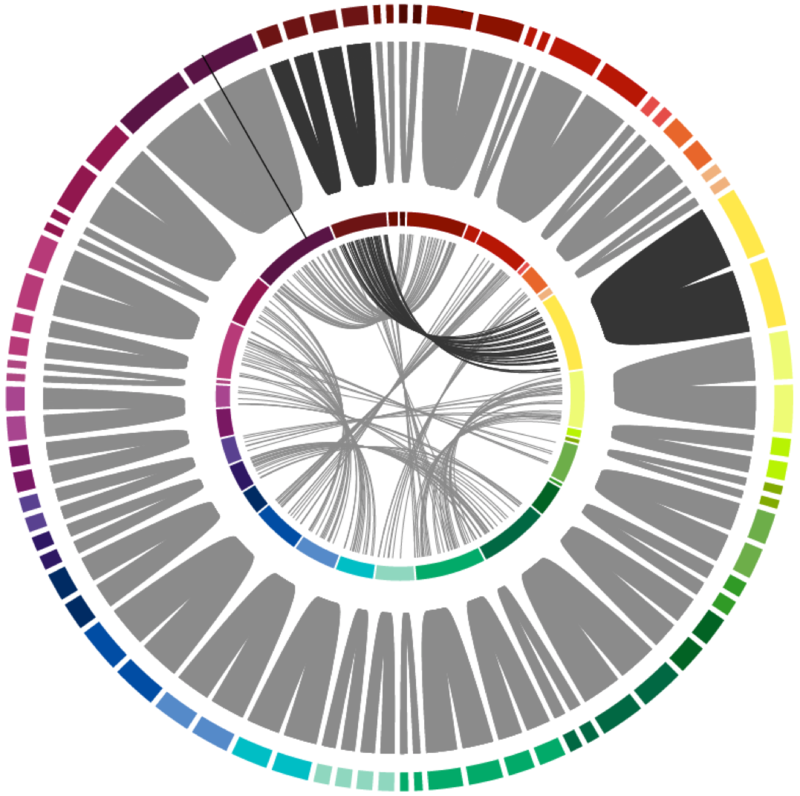 For example, these results have been used to establish the likely causes of genomic rearrangements that modify the organisation of genes in genomes since the ancestor of mammals. 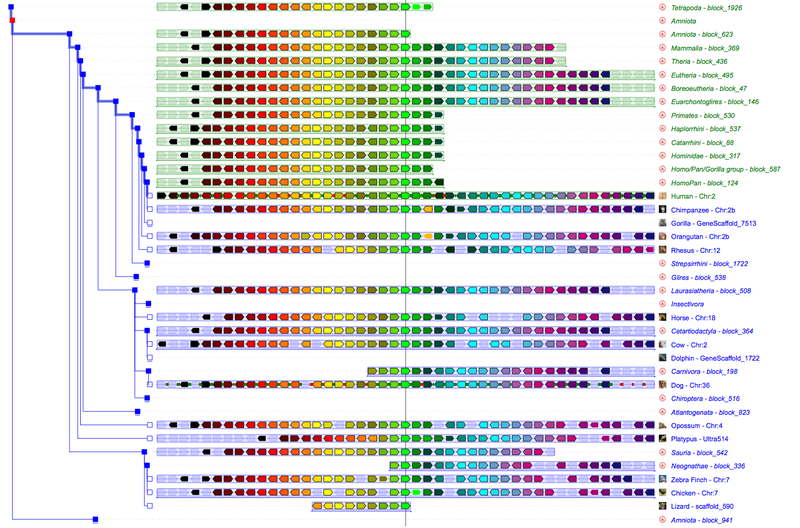 The group has also developed a new bioinformatics method to finely analyse conserved non-coding sequences in vertebrate genomes. Results reveal potential long-range interactions between these regions and their neighbouring genes. 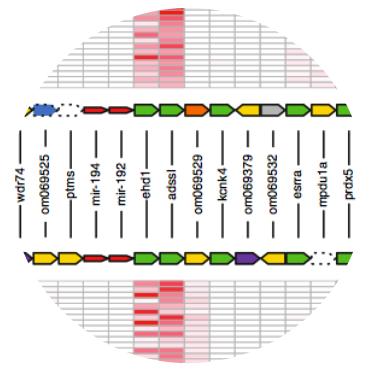 Extensive experimental work confirms that many such interactions are in fact due to the regulation of the expression of the genes by these non-coding regions. This analysis thus identified new functional interactions between sequences in the human genome, which help us understand the biology of the genome but also new causes of genetic diseases. 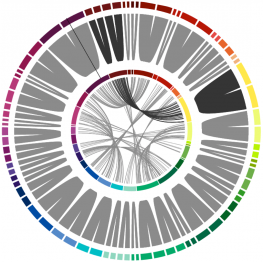 The group is also tightly involved in the analysis of newly sequenced genomes, such as the genome of zebrafish or rainbow trout. Nguyen,N.T.T., Vincens,P., Roest Crollius,H. and Louis,A. 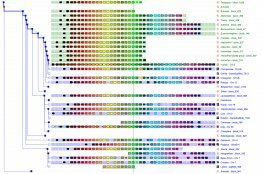 (2017) Genomicus 2018: karyotype evolutionary trees and on-the-fly synteny computing. Nucleic Acids Res, 2017 Oct 26. Lucas JM, Roest Crollius H. High precision detection of conserved segments from synteny blocks-. PLoS One. 2017 Jul 3;12(7):e0180198.